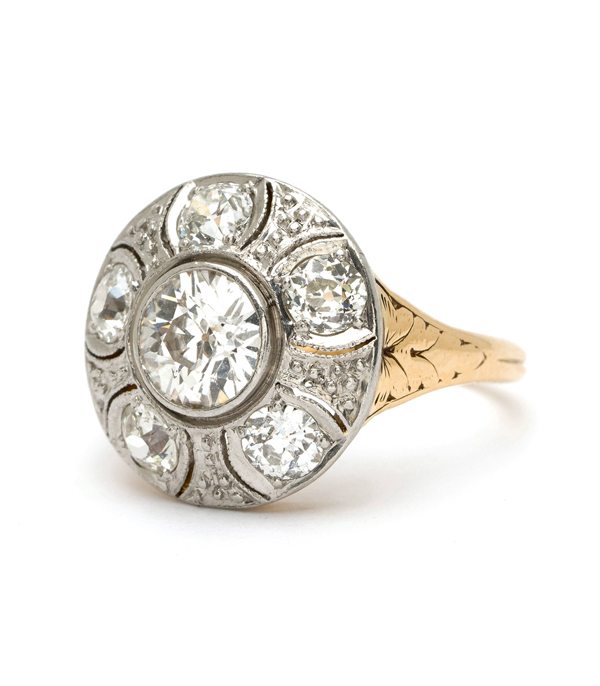 We love diamond cluster rings to begin with, but when they are full of beautiful old european cuts and sit low to the finger, we are over the moon! 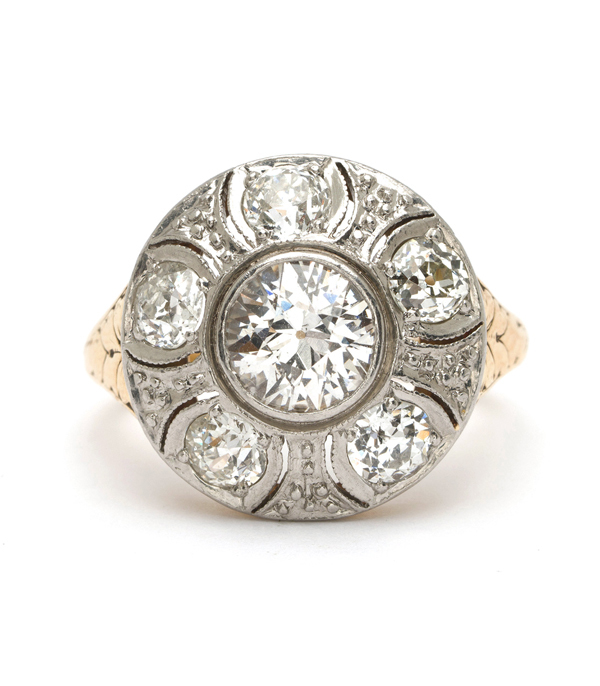 This Edwardian beauty is the epitome of diamond cluster rings. The platinum top is set with a glistening 0.85ct Old European cut center diamond, surrounded by five Old Euros totaling 1.25 ctw, (H/I color, VS1-VS2). The pattern features unique details and tiny cut-outs creating a subtle floral design motif. 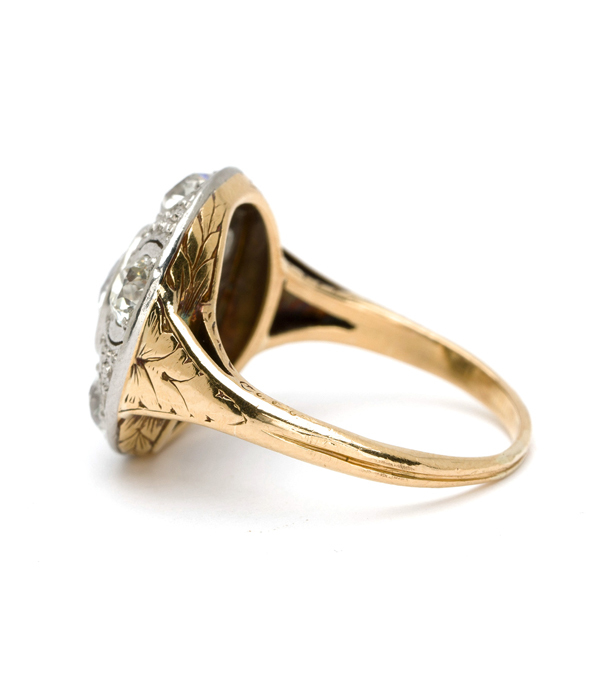 A rich 18K yellow gold shank features engraved designs on shoulders and gallery.This statement-making ring leaves no angle un-addressed. Circa 1915. 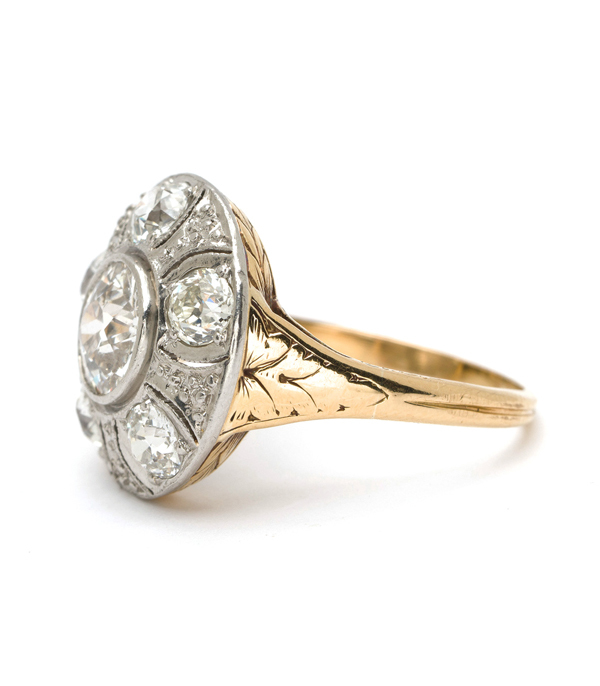 Categories: Antique Diamonds, Edwardian Jewelry, Vintage Engagement Rings, Vintage Rings.